I wrote a post on healing crystals several month ago and at that time I said I’d be back with a follow-up. It’s been a while and I am back with the next installment. 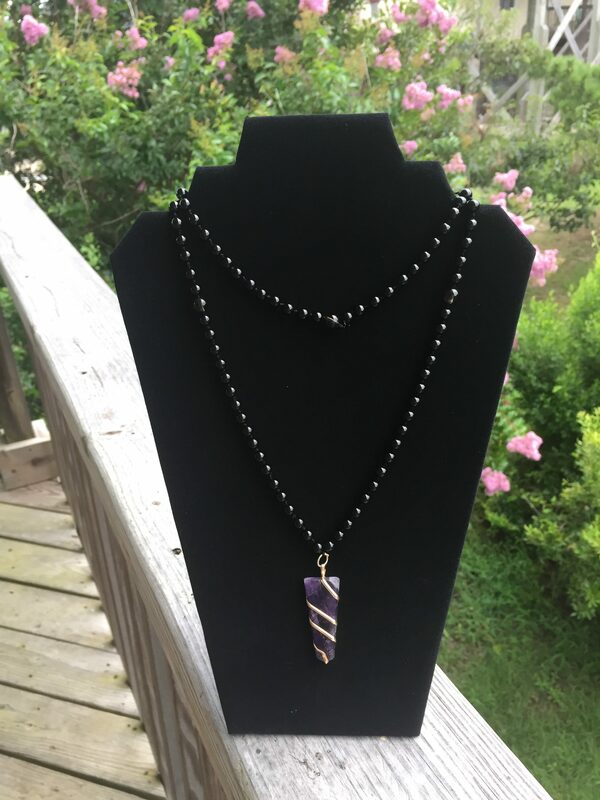 I’ve learned even more about crystals since I opened my Etsy shop because I have been making meditation malas based on the healing qualities of the crystals and stones. Amethyst may be one of the most well-known crystals because it is also a birthstone and widely available stone. I use this stone a lot in my malas (above) because of it’s many healing qualities. Amethyst is a powerful and protective stone. It is beneficial to the mind in that it can help with focus, decision-making, tranquility, balancing emotions…it is a do-it-all stone. This beautiful purple stone is wonderful for meditation and it is one of the most spiritual stones. I especially loved the colors and banding on the piece in the upper photo. 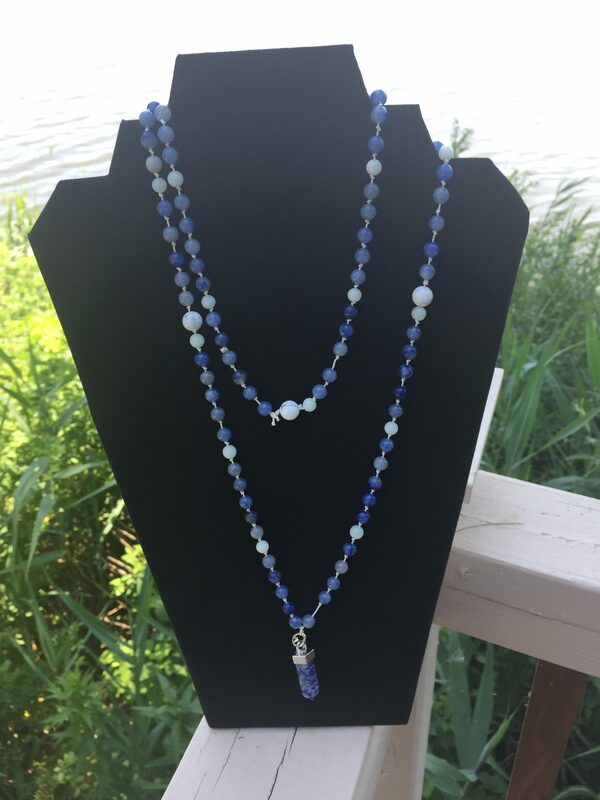 I use Sodalite in many of my malas (above) because of its wonderful blue color. This particular stone in my photo has a lot of white, but many of them have mostly blue. 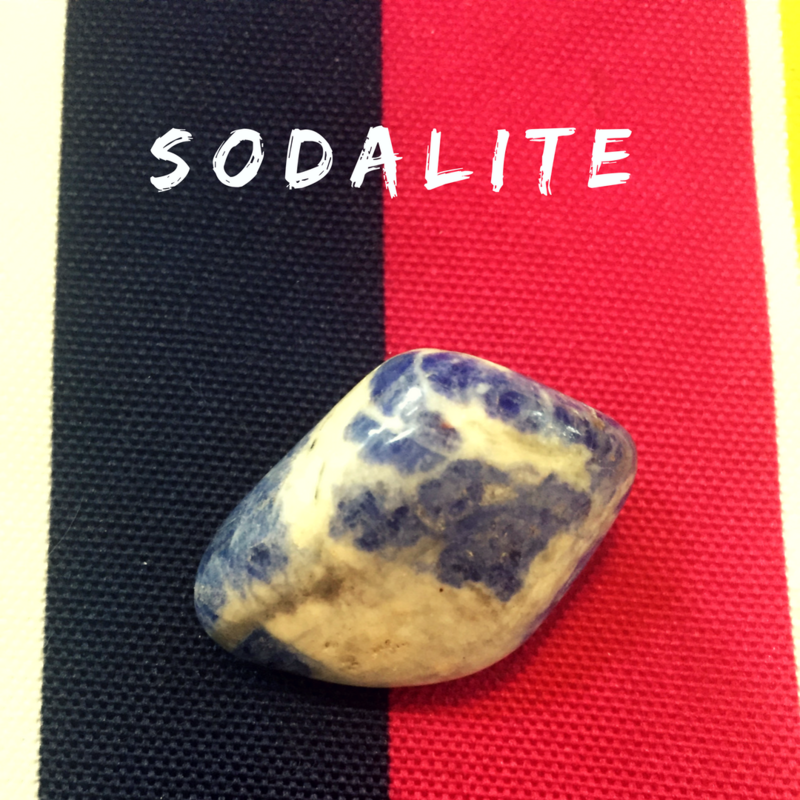 Sodalite, like Amethyst, is good for the mind in that it gets rid of mental confusion…who doesn’t need that??!!! It calms the mind, which allows new information to come in. Put on top of a computer, it blocks the electromagnetic pollution that emanates from within. It brings emotional calmness to the user and calms panic attacks, among other attributes. As you can see, smoky quartz is a translucent stone. 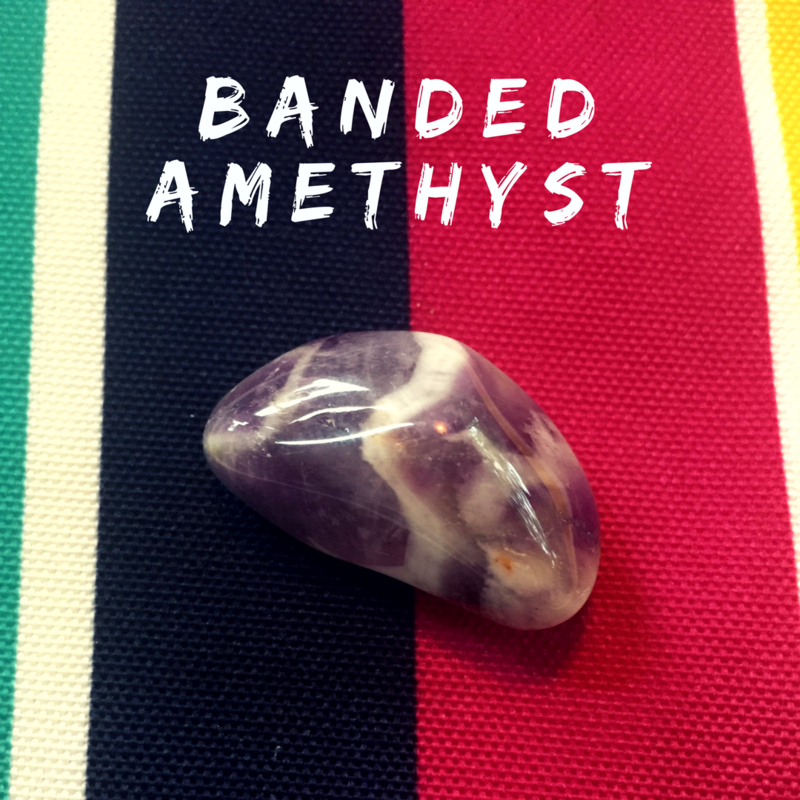 I have used this stone as a counter bead in some of my malas (see amethyst mala above). Quartz is very common and comes in different colors. Each color has a different healing quality. 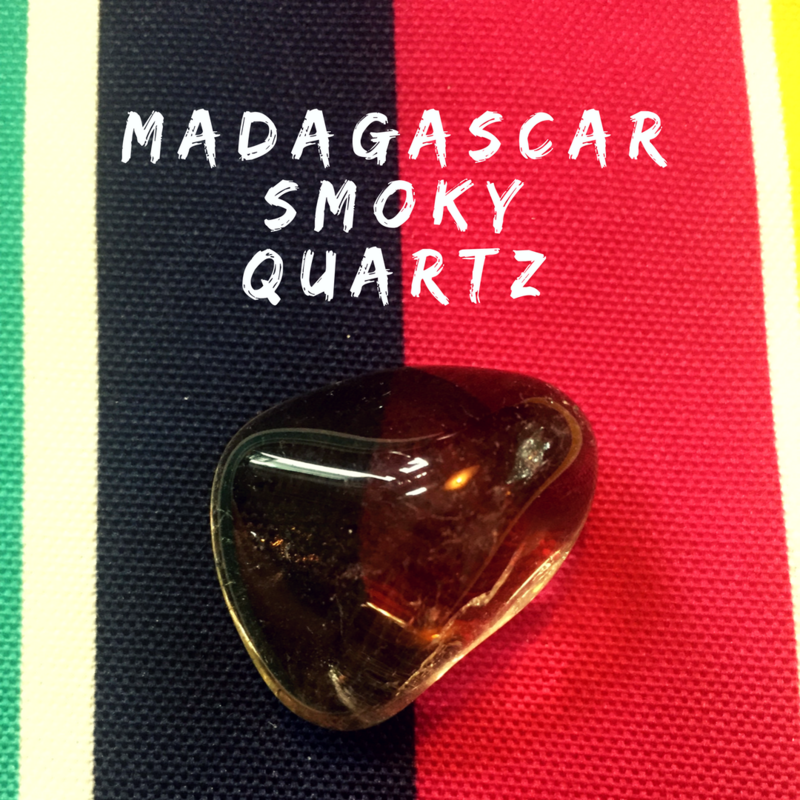 Among other things, smoky quartz relieves fear, improves depression and calms emotions. It teaches you to leave behind anything that no longer serves you. This picture does not do this stone justice. It is a beautiful light blue color. There are many different types of agates and this is one of the many. 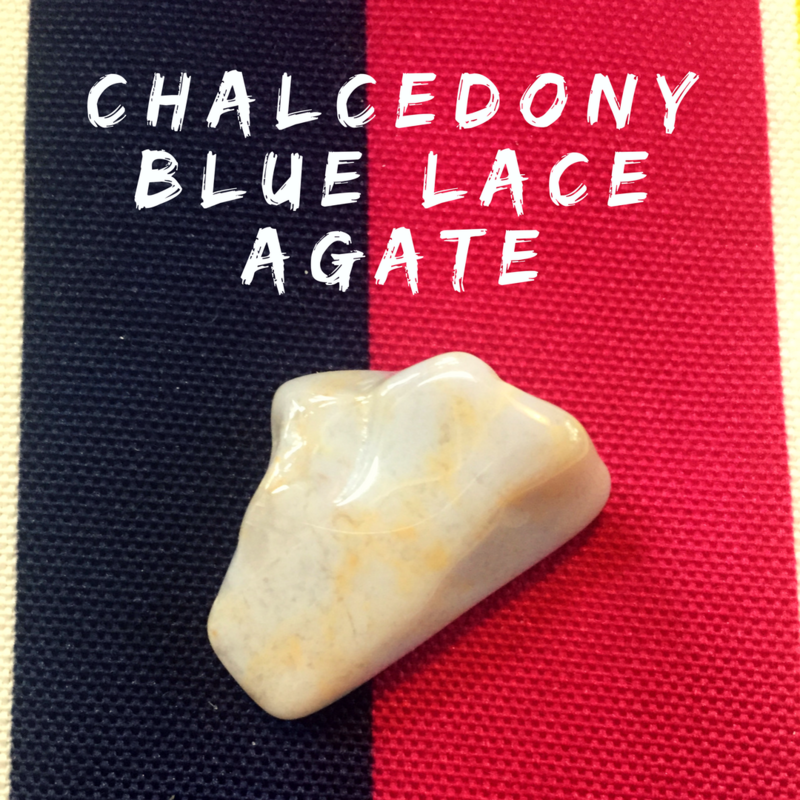 Blue lace agate is a throat healer and helps with verbal expression. It counteracts anger, infect, inflammation and fever, among many other uses. All of these healing crystals have other healing qualities that I did not include in the descriptions. I chose to write about the qualities that I chose them for. If you want to read more about crystals and their healing qualities, I recommend The Crystal Bible by Judy Hall **affiliate link**. Great photos and explanations of many crystals. She also has a 2nd and 3rd edition with additional crystals. I used to have a neighbor that was very into crystals and knew all sorts of stuff about them. She had them all around her house, the variety of colors was pretty neat. The Sodalite stone is beautiful and I love it is supposed to help with focus. I could use a calm mind and mental clarity. Thanks for sharing what you know about healing stones. 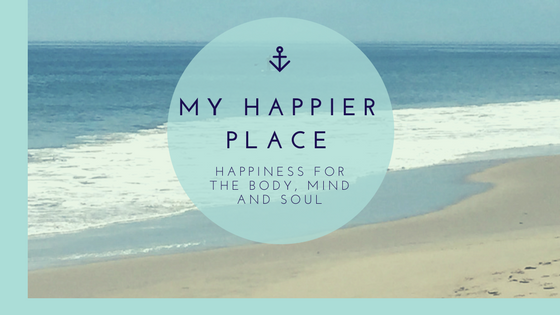 I had a healing stone while undergoing fertility treatments. It was a gift from a dear friend. It really helped calm me during difficult times. These are so pretty! I’ve heard crystals can heal. I’ll be sure to check out your shop. I love Etsy! Some of these crystals are very intriguing. I just love learning about what nature provides us with, thanks for sharing. This is so interesting. I’ll have to look into it more and then decide which crystal I should get! I have heard a bit about healing crystals and now to read about the benefits of having them is great. The way they look are great. I would invest in these. Sodalite is my favourite. I find the whole world of healing of crystals and stones fascinating. Many years ago, my friend gave me an amethyst stone after I suffered a loss. I still have the stone and I keep it in my see-through glass jewelry box. I’m wondering if I shouldn’t keep it on my nightstand to clear and calm my mind. I’ve never used crystals in this way before. However, I believe a lot of it has to do with your mental acceptance. Absolutely…what you manifest will come to be. The colors are wonderful and all “crystals” phone beautiful click. I love all the blue crystals. This is a good article, I have know about the curative powers of crystals, but have not studied in depth. What beautiful crystals. I’ve never even heard of healing properties in these before! That is amazing. I know of amethyst because purple is my sisters favorite color. I had no idea it could do so much. I need to keep some of that around. It might help my son while in school.